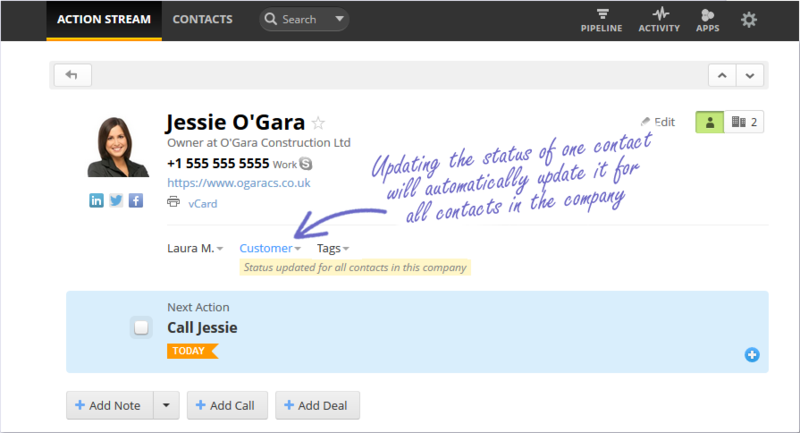 Now you can update the Status or Tags of one contact in a given company and have the Status and Tags of all other contacts in the same company updated automatically! In 98% of cases, you will have only one deal with a company at a given time, regardless of whether you have one or ten contacts from that company in your CRM. With multiple contacts, it’s important to keep their Statuses in sync so that you have a clear picture of where that company stands in your sales process. For example, if you’re selling windows to a construction company, their architect may be the person leading this deal but other contacts, such as the purchasing department or management, may get involved at different stages. Once their Statuses are synced, you can view and update the Status for all contacts in the company as required. Note: Status Sync is enabled by default on your account. Should you wish to set individual Status’ for contacts in a specific company, you can choose to disable Status Sync. 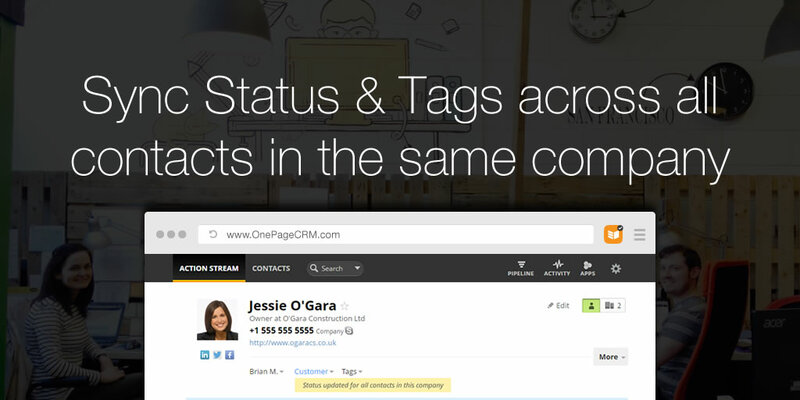 You can now also choose to keep Tags in sync across all contacts in a company, or leave them independent. Since Tags are a great way to segment and filter through contacts, they do not sync by default. 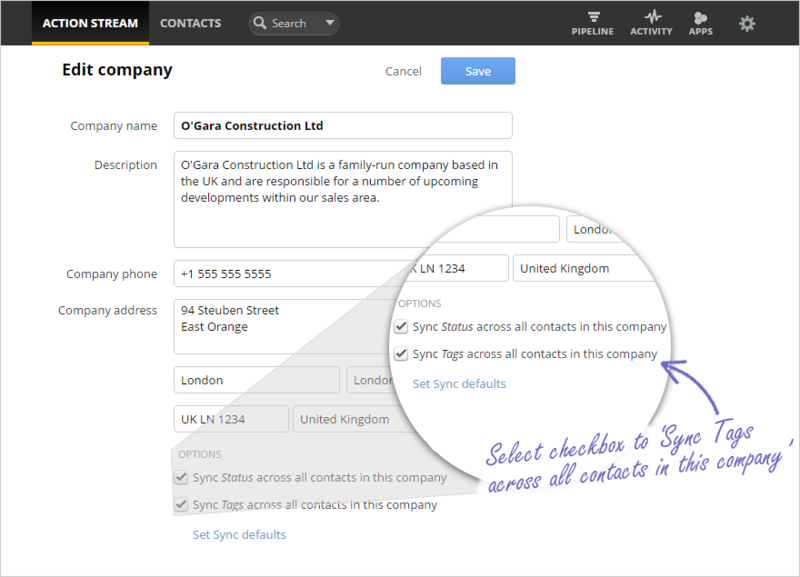 To Sync Tags across all contacts in a specific company, simply click the checkbox on the Edit Company page. 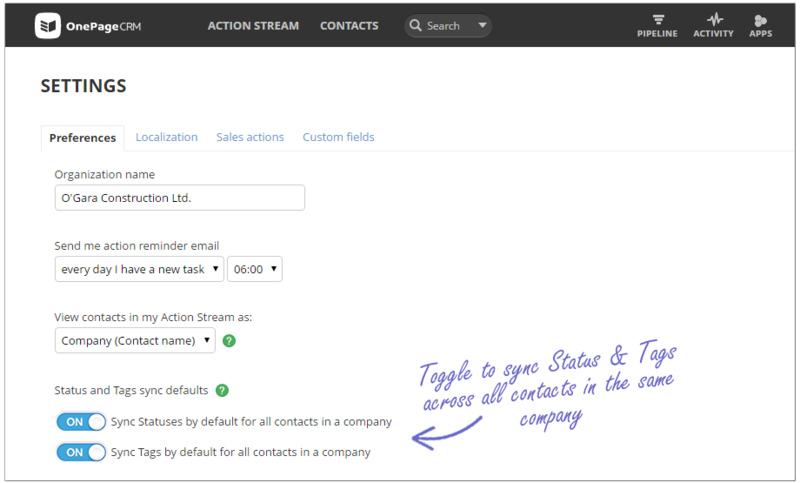 You can decide whether or not to sync Status and Tags for all new companies added to the CRM, by editing your Global Settings. With this latest update, Sync Status will be enabled by default, while Sync Tag is disabled, but again, you choose how this is set as per the picture below! Let us know what you think of these latest updates by commenting below or dropping an email to support@onepagecrm.com. Not currently a OnePageCRM customer and interested in trialing this feature and more? 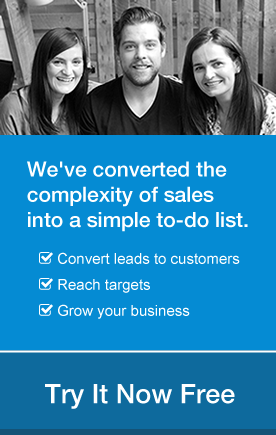 Sign up for a free 21 day evaluation and see how our Next Action sales method can help you Get Sales Done! Brian is a fan of all things technology, website and startup-related. A strong supporter of keeping the human 'personal touch' alive in sales, Brian is also a believer that "anything which can be successfully automated, should be".